The present Chief Justice of India, Justice Lodha, is retiring on 27th September , 2014, and the question now is who should be appointed his successor ? For quite some time the convention has been to appoint the senior most Judge after the Chief Justice as his successor. In my opinion now the time has come to do away with this convention as it is often leading to undesirable results which has caused great harm to the judiciary. The Chief Justice of India is head of the judicial family, and an undeserving appointment can cause great harm which may last for several years. It may be noted that there is no Constitutional provision or even a statutory rule that the senior most Judge of the Supreme Court should be appointed as the Chief Justice of India. In England and in the US there is no such rule or convention. In England the convention was that when the Lord Chancellor, who was the head of the British judiciary ( until the Supreme Court was created recently), resigned or died (there was no retirement age) the attorney general was appointed as the next Lord Chancellor. 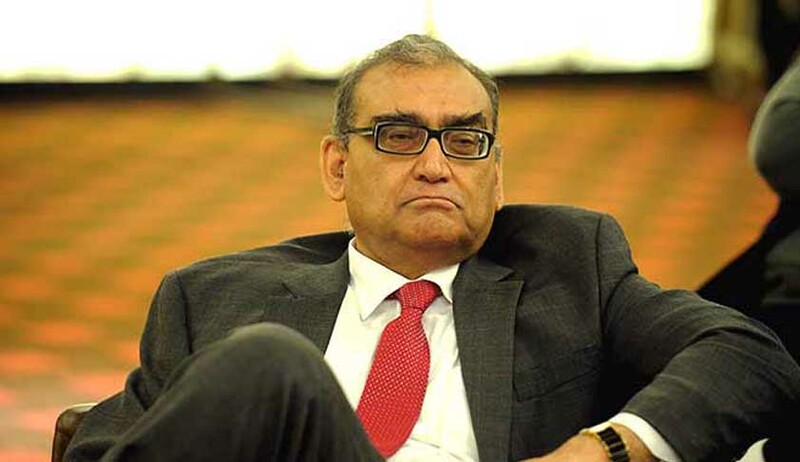 In fact in India in the early years after the promulgation of the Constitution, when a certain Chief Justice of India retired at the age of 65, the then Union law and home minister, Dr. KN Katju asked the then attorney general, Motilal Setalvad, whether he was willing to take over as the Chief Justice. Setalvad replied that he was ineligible as he had crossed the retirement age of 65 ( see Mr. Setalvad's autobiography 'My Life'). In the US there is no such convention of appointing the seniormost Judge of the US Supreme Court as the Chief Justice. In fact some of the outstanding Chief Justices of the US Supreme Court were not even judges of the US Supreme Court when appointed as its Chief Justice. For instance, Earl Warren was the governor of California when he was appointed Chief Justice of the US Supreme Court, and he proved to be one of the most outstanding chief justices, heading the Court which gave historical judgments e.g. Brown vs. Board of Education (1954). The present Chief Justice of the US Supreme Court was not even a Judge of the Supreme Court when he was elevated directly from the DC Circuit Court in 2005 at the age of 50 years as the Chief Justice of the US Supreme Court, and he is proving to be a great Judge ( see his judgment in the Healthcare case). Perhaps the convention of appointing the seniormost Supreme Court Judge as the Chief Justice of India was adopted so as to keep away any controversies. However, experience has now shown that this convention has proved to be defective, and often results in grave mistakes. Shanti Bhushan, former Union law minister, and presently a very senior lawyer of the Supreme Court, in an affidavit filed in the Supreme Court has stated that half of the 16 Chief Justices of India, prior to the filing of this affidavit, had been corrupt. Even subsequent to the filing of this affidavit there have been Chief Justices of India, about whose integrity grave question marks were raised. Their names are well known, and need not be mentioned. A Chief Justice of India who retired recently got his sister elevated to his parent high court although she was almost 60 years old ( the retirement age of high court judges being 62) and was widely regarded as undeserving. The Chief Justice of the high court who recommended her name was rewarded by being elevated shortly thereafter to the Supreme Court, while the Judge next in seniority ( who has the highest standard of integrity) who strongly objected in writing to her appointment as she was undeserving,was punished by being denied elevation to the Supreme Court, while his junior was elevated. This is the price which has often to be paid for honesty ! (1) The seniormost judge may be a person of questionable integrity, or may have done wrong things. I have with me a dossier ( given to me by a senior member of the Committee of Judicial Accountability) of one senior judge of the Supreme Court containing documentary proof of his corruption, and yet he was appointed as Chief Justice of India being the seniormost in the Supreme Court. A copy of this dossier had been sent to the President of India and other high authorities before his appointment as Chief Justice, but no heed was paid to it. (2) The seniormost judge may be a man of integrity, but may be a mediocre person. He, too, should be superseded, and a judge next in seniority, or one even lower down in seniority, if outstanding ( as borne out from his judgments),should be made Chief Justice of India. I may mention in this connection that when I was appointed as Chief Justice of Madras high court I contacted Justice Venkatachaliah, former Chief Justice of India, and the father figure in the Indian judiciary, to seek his blessings. He told me that some chief justices think that their main job is administrative, and so they get bogged down in administrative work, and neglect their judicial functions. This, he said, was a total mistake and misunderstanding. The main function of a Chief Justice is to give leadership to the Court on the judicial side, by giving outstanding and landmark judgments. So if a Judge is mediocre he will be unable to give outstanding and landmark judgments, even if he is a man of integrity. In my opinion such a mediocre Judge should be superseded. (3) If there is an outstanding Chief Justice of a high court, he can be directly appointed as the Chief Justice of India. In this connection it may be mentioned that when the then Chief Justice of Bombay high court, Justice Chagla, who was known to be outstanding, was sought to be directly appointed as Chief Justice of India when the then Chief Justice of India retired, this move was strongly opposed by the then Supreme Court Judges who threatened to resign en bloc, and hence the move could not fructify ( see Justice Chagla's autobiography 'Roses in December'). In my opinion it was highly improper for Judges to give such threats, and Justice Chagla should have been appointed Chief Justice of India, and the Government of India should not have succumbed to such threats. If the Judges resigned, so be it. They could be replaced by others. No one is indispensable. I have already given the example of the present Chief Justice of the US Supreme Court, Justice John Roberts, who was a Judge of a Court lower than the US Supreme Court ( the DC Circuit Court) when directly appointed as Chief Justice of the US Supreme Court, and he is proving to be an outstanding Chief Justice, though much younger than his colleagues. At present I know of some outstanding Chief Justices of High Courts whom I regard as deserving to be appointed directly as Chief Justice of India.